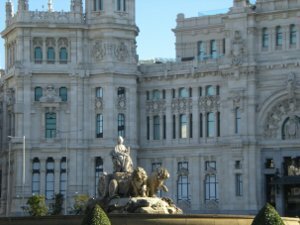 Madrid is the capital and largest city of Spain, located in the centre of the Iberian Peninsula. 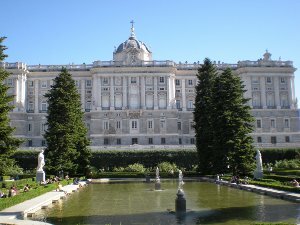 The Royal Palace is considered one of the best Palaces in Europe. It is the largest park of the city. The park belonged to the Monarchy until the late 19th century, when it became a public park. 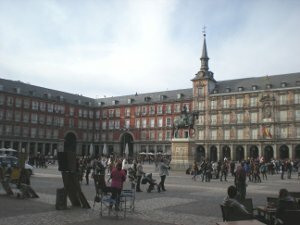 It is a central plaza in the city. 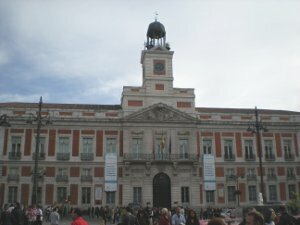 It is located only a few blocks away from the Puerta del Sol. 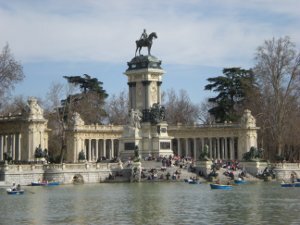 It is one of the best known and busiest places in Madrid. This is the centre (Km 0) of the radial network of Spanish roads. 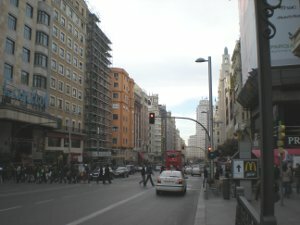 Gran Vía is an ornate and upscale shopping street located in central Madrid. 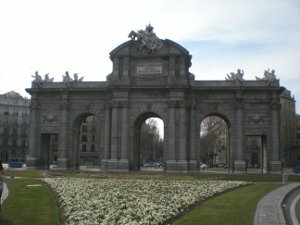 The Puerta de Alcalá is a Neo-classical monument. It is a square with a neo-classical complex of marble sculptures with fountains that has become an iconic symbol for the city. 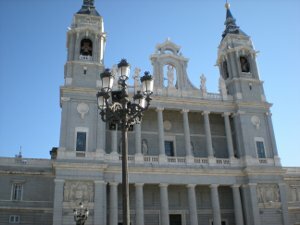 It is a catholic cathedral in Madrid. 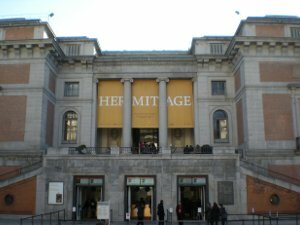 The Prado Museum is the largest art gallery in the world. 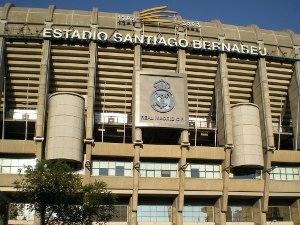 It is an all-seater football stadium in Madrid, and is owned by Real Madrid Club de Fútbol. 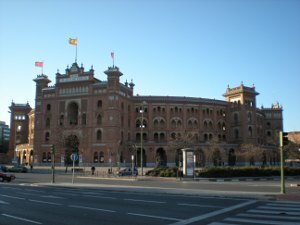 The Plaza de Toros de Las Ventas is a famous bullring in Madrid. 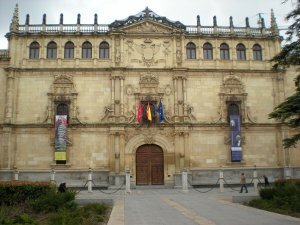 The Community of Madrid is one of the seventeen autonomous communities of Spain. It is located at the center of the country. 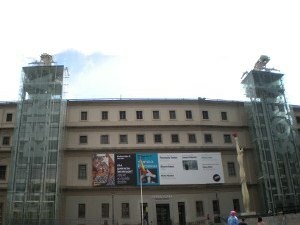 It has a population of 6,369,167 (2011) mostly concentrated at the metropolitan area of Madrid. 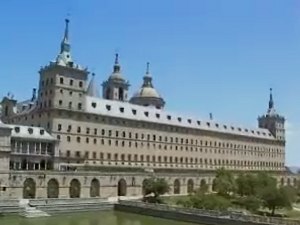 The Royal Seat of San Lorenzo de El Escorial is a historical residence of the king of Spain, in the town of San Lorenzo de El Escorial. San Lorenzo de El Escorial is a town in the northern area of the Community. It is located in the Sierra de Guadarrama mountains. About 45 km (28 mi) northwest of the city of Madrid. Alcalá de Henares's historical centre is one of Unesco's World Heritage Sites. It remains essentially medieval, with many winding cobbled streets, and many historic buildings. Manzanares el Real is a small town in the northern area of the Community. 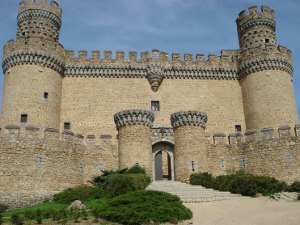 It is located in the Sierra de Guadarrama mountains. About 49 km (30 mi) northwest of the city of Madrid.